Canal666 - Hello - They Lied to You About Iran! Hello - They Lied to You About Iran! A city that could easily be part of the "top ten" cities on Earth, were it not be the capital of a country that the West is trying to ruin, first with unjust and draconian sanctions, and then, who knows, even by a militarily invasion. You are also expected to remain ignorant about Iran&apos;s social system, clearly socialist. Free education and medical care, greatly subsidized public transportation and culture, huge public spaces and to some extent, strong government and at least partially, central planning. Iranians do not display "arrogant pride"; they only show the determined, decent and patriotic pride of a nation with thousands of years of great culture which knows perfectly well that it is on the right side of history. You were told "how religious Iran is"; I am sure you were. But unlike in Saudi Arabia or Indonesia, religion is not "being thrown into your face" here; it is not waved as a flag. In Iran, religion is something internal, deep, which is expressed humbly and without noise. While the mosques of Jakarta broadcast, for hours a day and using powerful loudspeakers, entire sermons, while people are now being thrown into jail for even criticizing this brutal imposition of religion on the general public, in Tehran I could hardly even detect Adhan (call for prayer). Most of the local female Teheran city-dwellers only cover their hair symbolically – one third or even just a quarter, keeping most of their hair exposed. Iran is totally the opposite: its interpretation of religion is "traditional", as it used to be before the West managed to derail its essence in so many parts of the world. It is socialist, compassionate, spiritual and yes – internationalist. Unlike in places like Jeddah or Jakarta, where going out to eat is now the height of cultural life (and often the only option of how to "enjoy the city"), Tehran offers high quality art cinemas (Iranian films are some of the greatest and most intellectual in the world), world-class museums and galleries, vast public spaces, as well as a great number of sport and amusement public facilities, including beautifully maintained parks. What else were you told; that you cannot look into a woman&apos;s eyes or you will be stoned to death? 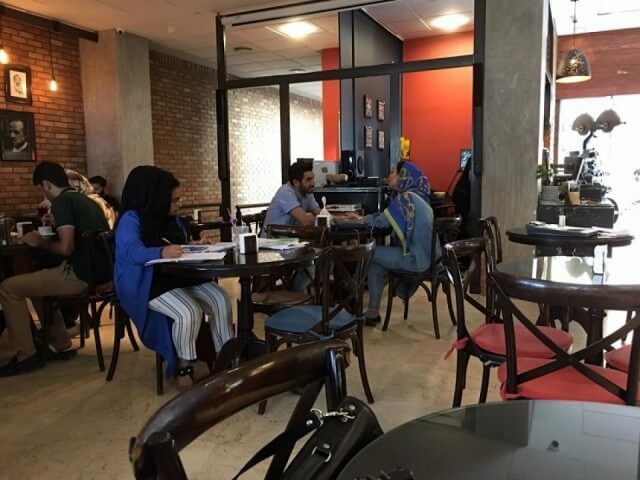 Couples are holding hands everywhere in Tehran, and annoyed girls are slapping the faces of their men, teasingly and sometimes even seriously. Europeans who come here, even for the first time: they don&apos;t want to learn. Even if they come to Iran for the first time, they land at the airport, get into my car, and begin preaching; teaching me about my own country! They all come with the same story, with the same criticism of Iran. There is no diversity! How can they call themselves democratic countries, if they are all thinking the same way? Whenever I come here, I have this impolite urge – I want to shout at my readers: Come here and learn something! Iran is not perfect, but this is real – here, life is real and so are the people. Thanks to their culture and history, they somehow know how to separate precious stones from junk, pure thoughts from propaganda, cheap and deadly capitalism from the great strive for a much better world. If you don&apos;t believe me, just watch their films; one masterpiece after another. Perhaps that is why the West wants to first ruin, and then to totally destroy this country. For the West, Iran is "dangerous". Iran is dangerous, even deadly, for the imperialist arrangement of the world, as China is dangerous, as Russia is, as Cuba, Venezuela, Syria and Bolivia are. To ruin Iran will not be easy, I would even say: it could prove impossible. Its people are too smart and determined and strong. Iran is not alone; it has many friends and comrades. And even Iran&apos;s neighbors – Turkey and Pakistan - are now quickly changing direction, away from the West. Don&apos;t take my word for all this. Just come and see. But do no preach: ask questions, and then, please sit, listen and learn! This country has more than 7,000 years of tremendous history. Instead of bombing it, read its poets, watch its films, and learn from its internationalist stand! And then, only then, decide, whether Iran is really your enemy, or a dear comrade and friend.